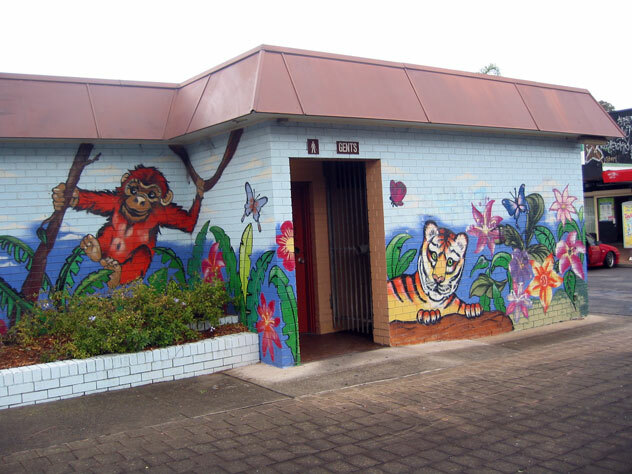 It is good to see that there are still some examples of Australian icons that have not been torn down. 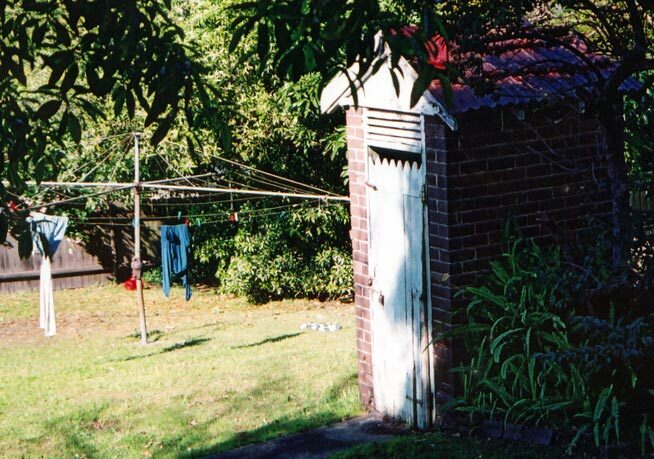 This outside toilet and the rotary "Hills Hoist" clothesline are in Denistone West. Multiple choice question: Is this delightful spot (a) a beer garden (b) the foyer of the Honolulu Hilton or (c) a toilet? 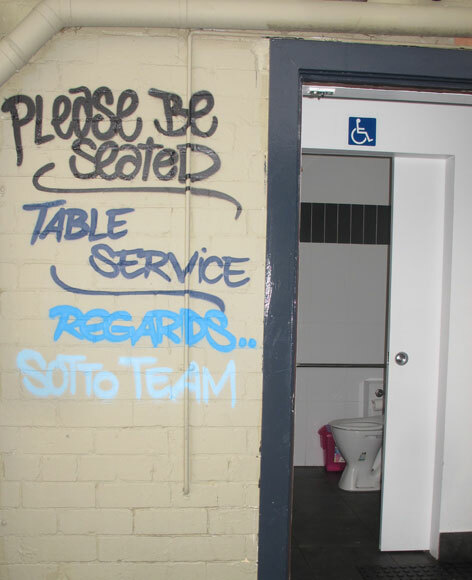 Well done, although how would you have fared if this section were not headed “toilets”? 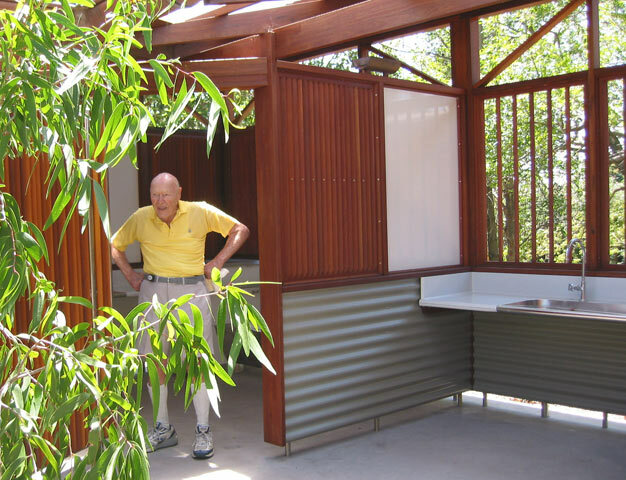 It’s the eco-toilet block in the former armed services property at Georges Heights. 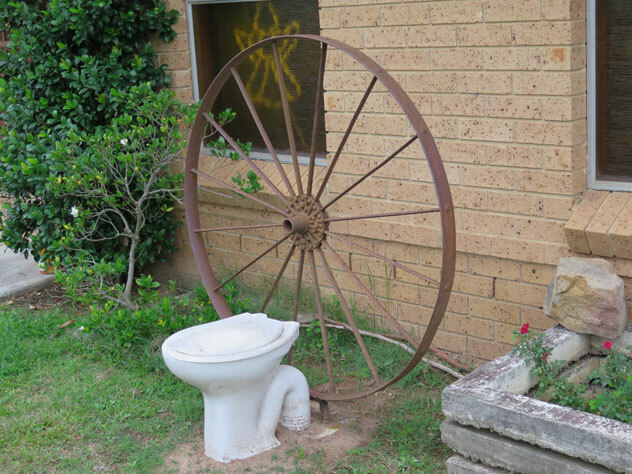 If nature calls while you're walking Owen Street, Glendenning, and you're fussy about what toilet you use, don't panic. You can choose from flush toilets, builders' toilets, chemical toilets, Porta Loos, Regular Super Loos, Fresh Water Flush Super Loos, luxury loos with a/c or whole ablution blocks. Or, to simplify matters, just go behind the tree. 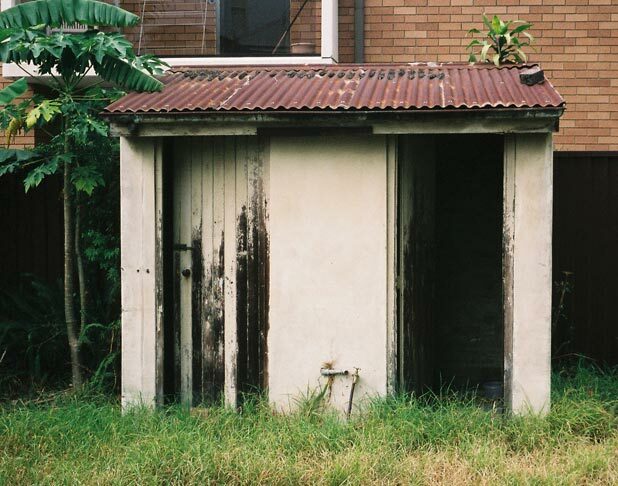 The lane off Russell Street, Granville, offers both a ladies’ and gents’ toilet. I think I'll hold on for a while. Northcott Road, Lalor Park. 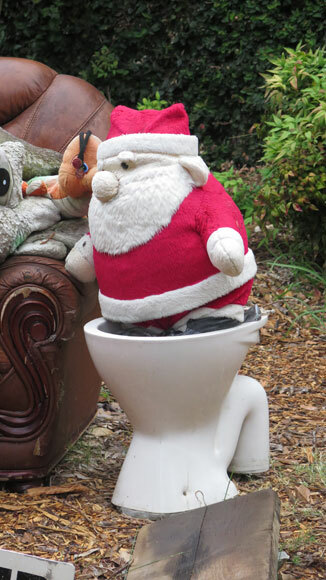 … but what does Santa get? 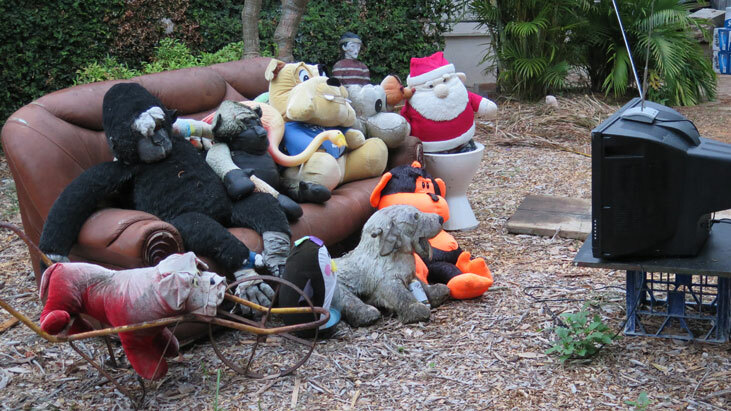 Poplar Lane, Narraweena is popular for backyard dunnies. There's a whole chain of them.